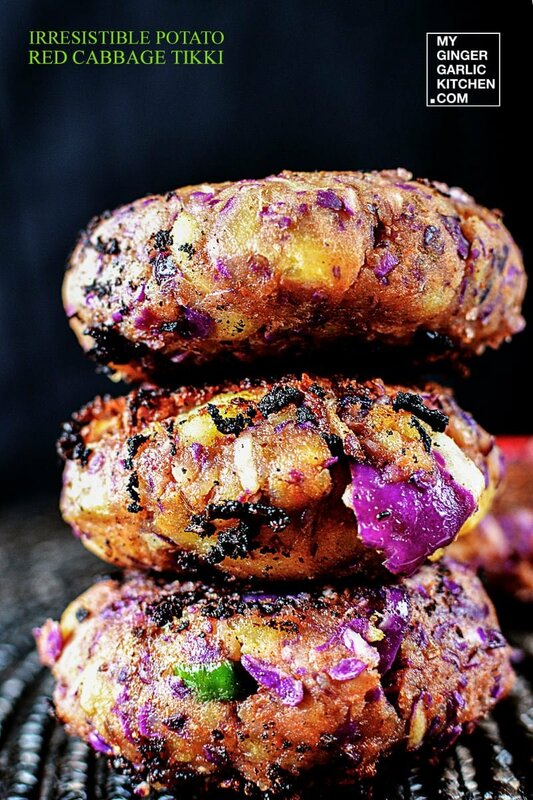 Learn to make Irresistible Potato Red Cabbage Tikki Recipe – Potato Cabbage Cutlet recipe with easy step-by-step photo instrucions. 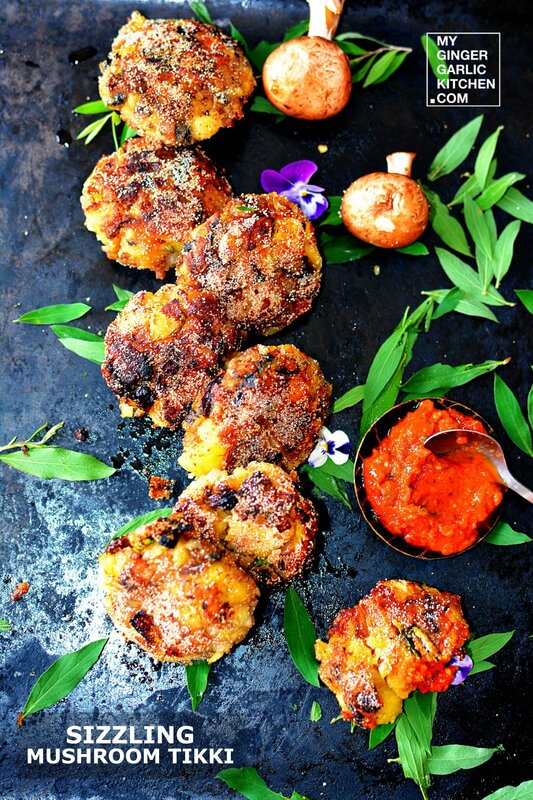 This cabbage tikki is a very hearty, healhty, and delicious which can be ready in minutes. This spicy tikki is best served with some green chutney and some hot tea. 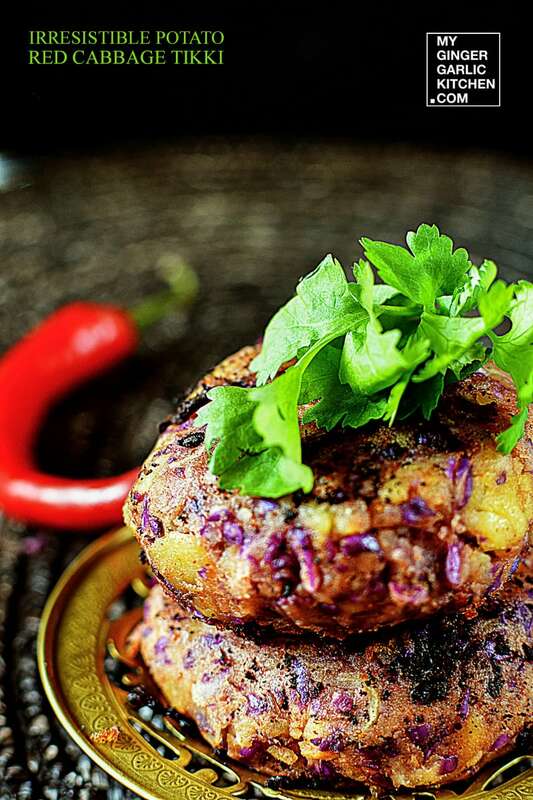 Tikki is a popular North Indian snack, usually made with potatoes and some spices. In aloo tikki, ‘Aloo’ is ‘Potato’, and ‘Tikki’ stands for ‘Cutlet’. Tikkis are either served as a snack with chutney or served as a ‘Tikki Chaat’ along with Chole, Green chutney (Hare Dhaniye Ki Chutney), Tamarind chutney (aka Imli Ki Chutney), yogurt and onions. 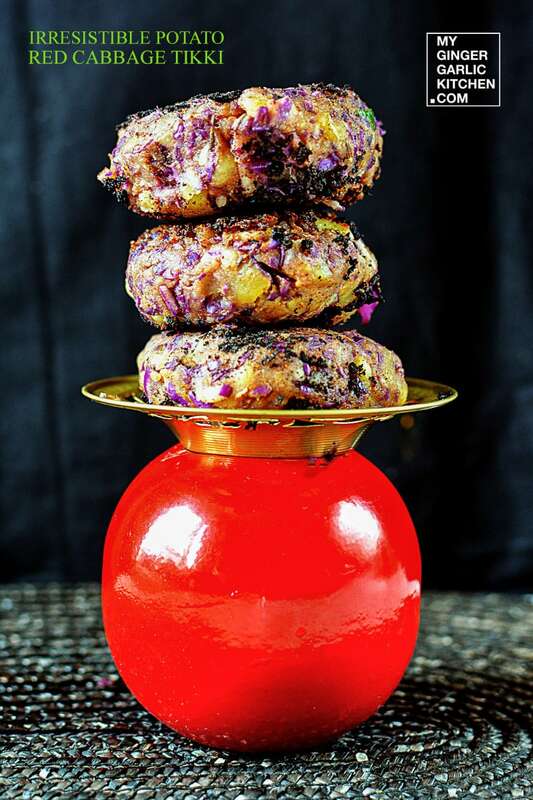 Irresistible Potato Red Cabbage Tikki is a new twist to Aloo (Potato) Tikki, a very popular north Indian snack. Adding freshly grated cabbage gives it a nice purplish color and crunchiness. 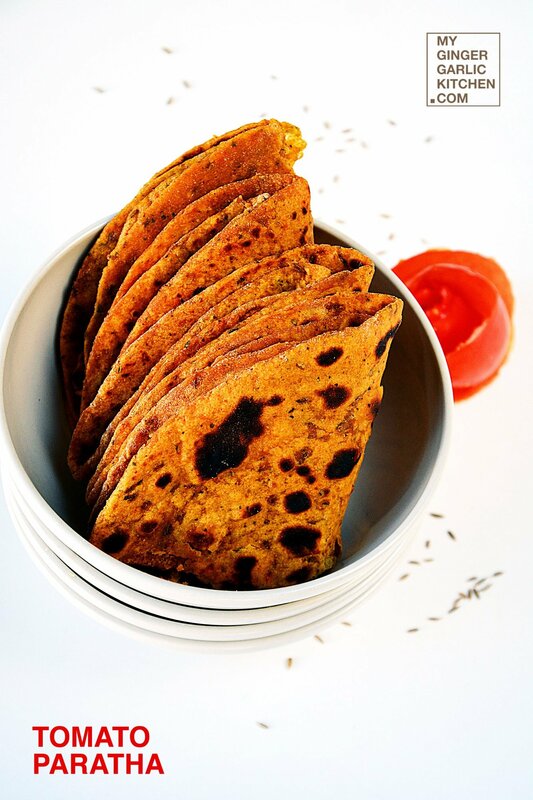 It’s a great snack/brunch which is comfortably tasty, yet nutritious because of vegetables. 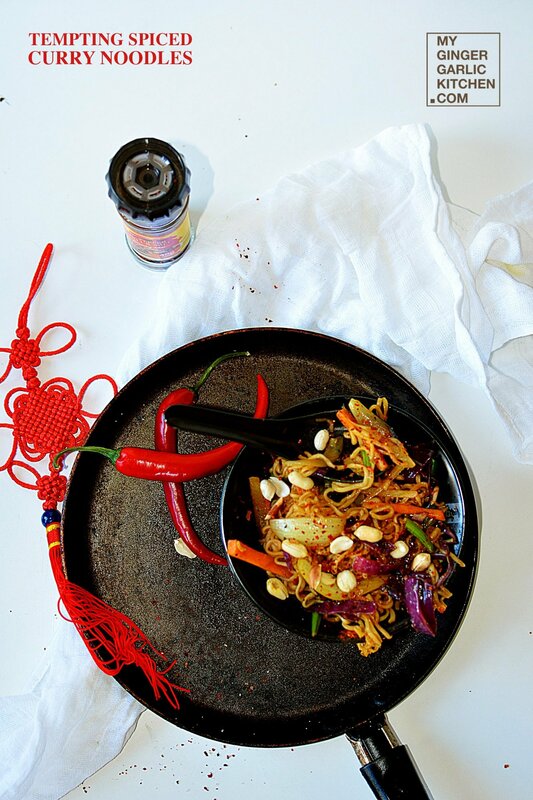 A true blend of spices and vegetables makes it really irresistible. 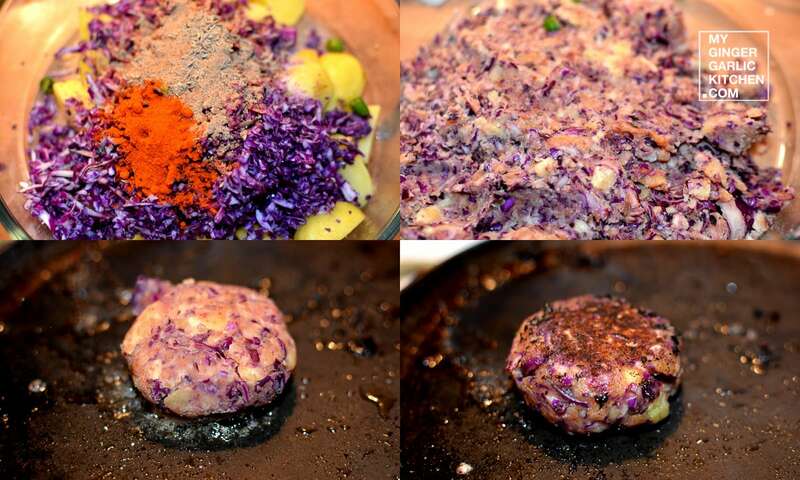 Let’s learn to make Irresistible Potato Red Cabbage Tikki in easy to understand quick steps. 1. Combine all the ingredients to it except oil, and mash well. 2. Divide the mixture into 8-10 equal sized balls. 3. Gently flatten them into round shapes. 5. Heat a flat pan on medium. 6. Add some oil to it, and shallow fry the balls till they turn golden brown. 7. 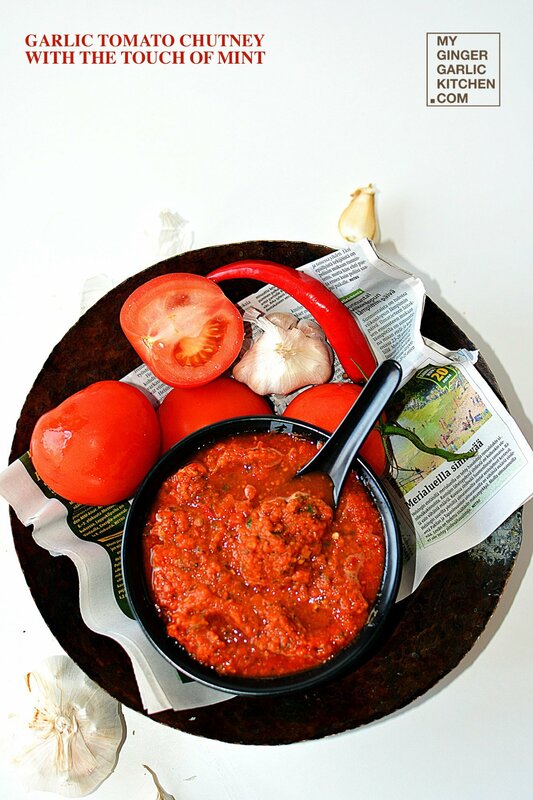 Serve hot with your favorite ketchup or chutney. Enjoy! 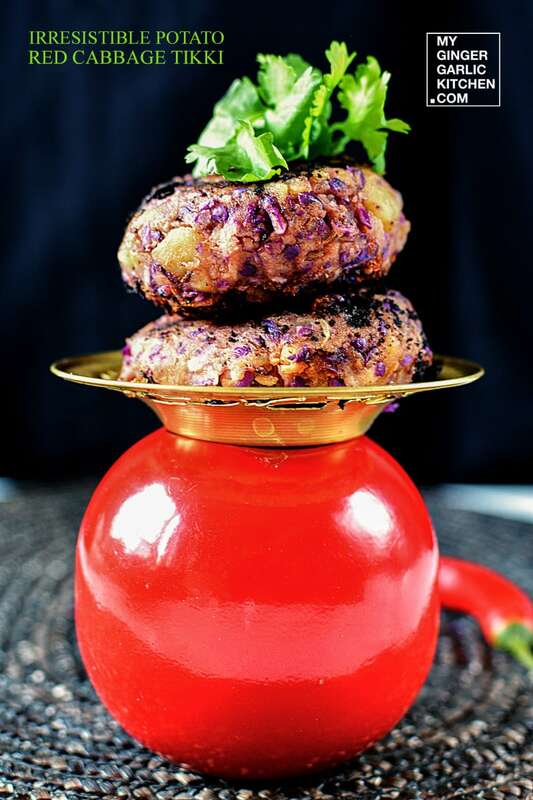 Irresistible Potato Red Cabbage Tikki is a new twist to Aloo (Potato) Tikki, a very popular north Indian snack.